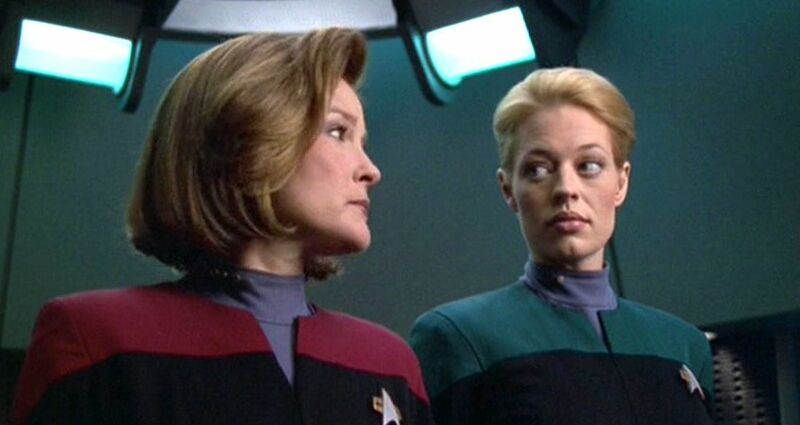 The introduction of Seven of Nine to the Star Trek: Voyager series came bout in the fourth season. Introduced as a member of the dangerous groups known as the Borgs, her initial mission was to help complete a deal made between the USS Voyager and her Borg collective. However, she eventually became freed from the group, leaving the emotionless cyborg to begin feeling again. 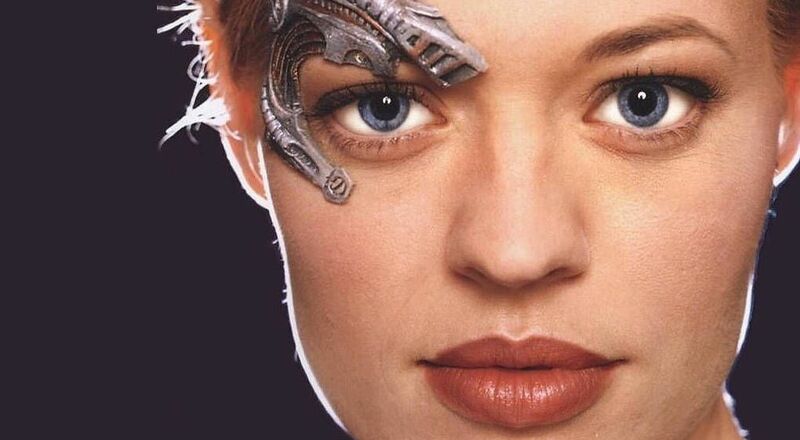 Seven of Nine (whose collective name was Seven of Nine, Tertiary Adjunct of Unimatrix 01), received a second chance at a better life and freedom. Although the former human woman could never be fully restored, the cyborg found a way to cope with her past and her new semi-human body. Played by actress Jeri Ryan, Seven appeared in 96 episodes of the series and became a fan favorite. Although viewed the character as a way to add more visual appeal to the show (thanks to her very tight uniform), the role brought a unique style, presence, and presence to the show overall. Although it seems like her story began when she boarded the USS Voyager, she actually lived a fascinating life prior to joining the crew. Her life’s journey took her through many traumatic experiences, affecting her life at a very young age. Only dedicated fans know the details behind her history before the being a part of the crew. In this article, we will explore the aspects of her history from birth until her fateful arrival to the USS Voyager. 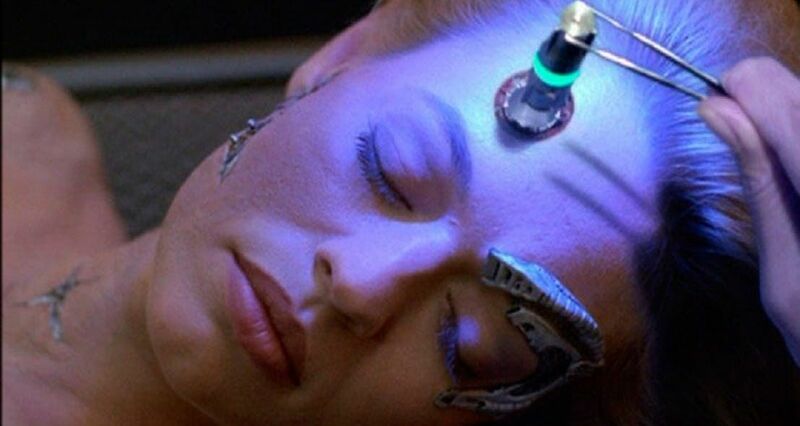 From her broken childhood to her last moments as a human being, here are 20 Wild Things Seven Of Nine Did Before Voyager. Before she became the Seven of Nine fans grew to love, her story began in the Star Trek Universe as a young girl named Annika Hansen. Born to Erin and Magnus Hansen, she began her life on the Tendara Colony. However, with both of her parents working as exobiologists, they spent little time at home with her. The majority of her childhood was divided between relatives that cared for her instead. During the episode “Author, Author”, viewers were introduced to her mother’s aunt, Irene Hansen, and learned more about her childhood days spent with her. In addition, we discovered she also spent time with another aunt, Helen and even got into some mischief with her for Annika’s sixth birthday. Sadly, many of her fond memories as a child did not include her parents. As if growing up with infrequent visits from your parents wasn’t traumatizing enough, she endured another shock when she was visited by her future self. Although this encounter did not appear in the show itself, it was included in the anthology series Strange New Worlds II. The fan-written short story, called “A Ribbon for Rosie” introduced the idea that Seven had traveled back in time to visit her younger self prior to her sixth birthday. Knowing the course of events that would take place in her life, the older version tried to dissuade her parents from taking their dangerous journey beyond Federation space. However, she was unable to persuade them to abandon their plans to trek into the Delta Quadrant. Her parents’ focus in their scientific studies centered on the Borg collective. They studied their history and hoped to prove their existence in the universe. Spending many months on missions to complete their task, they missed their daughter’s younger days. However, instead of deciding to spend more time at home, they chose to bring their daughter along. Considering the possible danger of encountering the Borg during their journey, they still decided that bringing her along was the best choice. She left home at the age of four and joined them aboard the USS Raven. Their journeys continued for several years, with Annika spending her next three birthdays aboard the ship. Not only was she removed from her semi-normal life with her aunts, but she also got to risk her life for science thanks to her parents. During their exploration into the existence of the Borg collective, Seven’s parents gradually became too obsessed with their mission. The whole family ended up on the wrong side of the law as a result. During their Federation approved journey, they decided to expand their search area and journey into the Romulan Neutral Zone, which angered the Federation. Their blatant disregard for this restricted area led to them being ordered to return home and abandoning their mission. However, they ignored this direct order and continued their journey anyway. It was hardly the best example for their young daughter. In addition, they even discovered a Borg drone and brought it on broad their ship– a move that could have easily put them and their daughter in harm’s way. Their mission to discover the Borg eventually led them to the discovery of a Borg cube in the Delta Quadrant. Magnus Hansen invented a device that would help in their mission and keep them safe from the dangerous creatures. During the fifth season of the show, Seven discovered her parents’ notes on their journeys when she was younger in “Dark Frontier”. She learned of the bio-dampeners that her father invented to help in their mission. His invention would allow for the team to move into Borg space undetected. They even pushed their luck and boarded the Borg vessel themselves in order to collect the most comprehensive data on the creatures as possible. Unfortunately, her father’s invention turned out to be a when an ion storm struck their ship and disabled their shielding technology. After their location had been discovered by the Borg, they were attacked and pursued. The episode “The Raven” shed details on the time when Seven (still a young Annika at the time) and her parents were assimilated. The Borg assimilated her parents immediately. Annika, however, was far too young for the process. In order for her to be useful to the collective, she had to be placed in stasis until she reached the age of eleven. Her five years of waiting deeply affected her psyche, leading to psychological damage. During the process, the Borg reprogrammed her to suit their needs better. This reconstruction included stripping her of her individuality so she would better fit into their hive. Once she reached the ideal age, the Borg then removed her and completed the process of assimilation. The Borg collective expanded their forces not by creating but assimilating various species to become more like themselves. Using cybernetic technology, they would remove all personalities from their captives and make them the perfect vessel for their technology. In addition, the new assimilated beings would better connect with their hive controls, making them just another “worker bee” in their collective, with no individual thought whatsoever. In their unyielding purist to shed more light on this mysterious society, the Hansens inadvertently made history within the Borg collective. 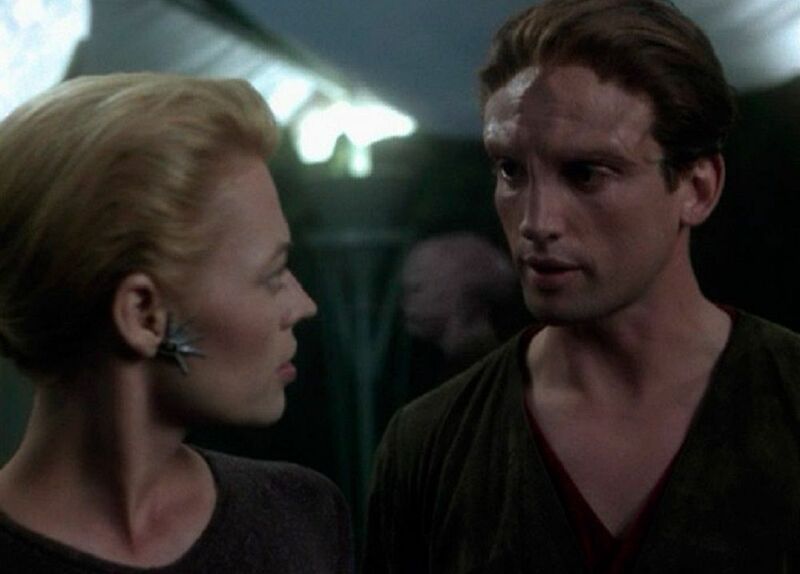 According to the Official Star Trek database, “It is possible that the Hansen family were the first humans to be assimilated by the Borg.” Annika and her family lost their identities as humans and soon began their new lives as part of the Borg collective. When Seven joined the crew of the USS Voyager, she had a difficult time adjusting to her new crewmates. Not only did she not have the trust of the crew but her ability to relate to them seemed non-existent. She had to relearn how to function as an individual and learn basic human abilities including chewing and swallowing. However, her inability to bond with the team stemmed from her traumatic experiences within the Borg collective. She spent five years being aged in order to be the right specimen for assimilation. During this time, her body was artificially aged to suit their needs, but her mind did not develop, leaving her with the mental abilities of a child. In addition, her social skills and mental capabilities remained in that same immature state once she was freed from the hive. 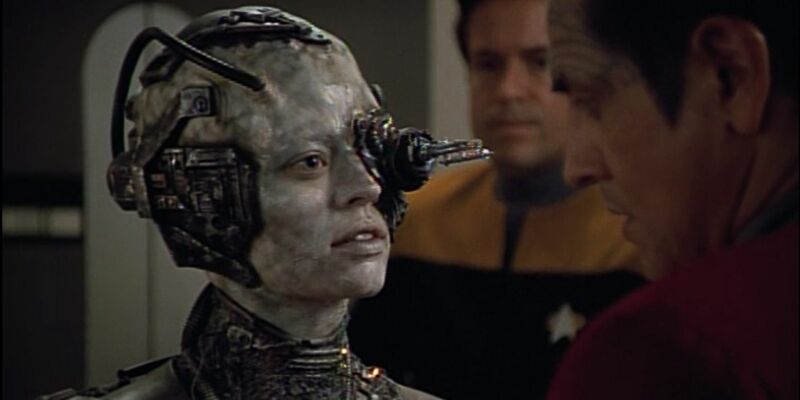 Seven underwent several drastic changes once she became assimilated by the Borg. Her normal human abilities became enhanced thanks to their cybernetic technology. The changes to her body included tying many of her bodily functions to Borg technology. After joining the crew of the USS Voyager, attempts were made to remove as much of the foreign technology as possible. According to her bio-file, 82% of the implants have been successfully removed. However, several were tied to major organ functions and could not be taken out for fear of destroying her. Some aspects of her Borg functions could not be changed, including her need to regenerate. The Doctor tried his best to return Seven to a more human state, but she would never be entirely human again. In the episode “The Gift”, we witnessed the first steps to help Seven better assimilate with the crew. The Doctor performed various surgical procedures to remove the foreign technology from her body. We also learn that the technological advancements of the Borg collective made their specimens became extraordinary creatures. By applying their unique technology to their captives, they managed to create beings with superhuman abilities. Their advancements included vast improvements on physical strength, memory, and even sight. One of her most recognizable features, the ocular implant, gave her advanced vision and clarity. This technology replaced the cybernetic eyepiece she once had during her time with the Borg collective. Thankfully, her surgeries led to a better life for Seven overall. Along with obtaining superhuman abilities thanks to her Borg technology, her normal human senses received a boost as well. In her transfer to become more human, she received improvements in her respiratory and circulatory systems. During the episode “Body and Soul”, audiences were able to see just how acute her senses where while The Doctor had temporarily control over her body. She also has the very rare ability to be resistant to several forms of radiation. Over the course of the series, we see she can withstand the effects of life-ending radiation that would destroy any other ordinary human being. Even with the removal of the Borg technology, she still thrived without their advanced enhancements and additions. One of the most interesting elements found of the Borg collective was their use of nanoprobes. This technology was injected directly into the bloodstream and helped with controlling their new drones. Each being would be injected during their assimilation process and would receive nanoprobes that were unique to their body. They would flow throughout the body, help with any repairs, and keep the host body in top condition. In Seven’s case, she had 3.6 million nanoprobes in her body. Although they served her well after she joined the crew, she also found they came at price. Her high volume of nanoprobes made her a target for any enemies hoping to steal this technology. On several occasions, the Ferengi sought to take this technology for their own benefit. The Borg’s constant desire to take over as many territories as possible led them to create drones whenever possible. They constantly sought out new races and creatures to be under their control. As they captured and assimilated new drones, they then used those drones to carry out their bidding. During her thirteen years with the Borg collective, Seven unknowingly pursued and captured millions of innocent beings for their use. Although humans were among those races that were caught, they weren’t the Borg’s only focus. Seven helped with the capture and conversion of victims from various backgrounds, including Klingons, Bolians, and Krenim. She also helped with the capture of additional human beings. She unknowingly forced so many lives to experience the same fate that she had. The process to make Seven a part of the crew definitely took some time and understanding. Although she had been a part of the Borg collective for thirteen years, it was not her choice. She worked under the control of the creatures as part of their collective hive control. Once she was disconnected from the hive, her thoughts and action soon became her own. However, the lingering trauma from her time with the group later came back to haunt her. In “Infinite Regress”, the crew discovered the remains of a Borg cube. However, as they approached the debris, Seven soon began showing symptoms of Dissociative Identity Disorder. She later realized that her symptoms were actually manifestations of the different beings she had assimilated over the years. They became part of her mind and began manifesting themselves. The creation of Borg drones required many changes to be made to the victims they chose. After being captured, the assimilation process was necessary to make that being capable of shared thought. In order to achieve such a feat, they needed to be stripped of everything that made them an individual. Along with being injected with nanoprobes and Borg technology, all independent thought and emotions were taken away. In the end, the drones were superpowered hollow shells that would take the commands from the hive with ease. When she transitioned from a former Borg to a crewmember, Seven found she lacked the essential emotions that would have made her human. She did not have the ability to feel love, sadness, or joy. With the hive mentality and technology in place, the possibility of independent thought was completely eliminated in the Borg collective. However, Seven found herself in a situation that made her turn against her own kind. The events of the season six episode “Survivor Instinct” revealed an incident from her Borg past. While still part of the collective, she had been on a mission with three other drones and they crashed. These three drones temporarily lost their connection to the hive and began to regain individual thoughts. 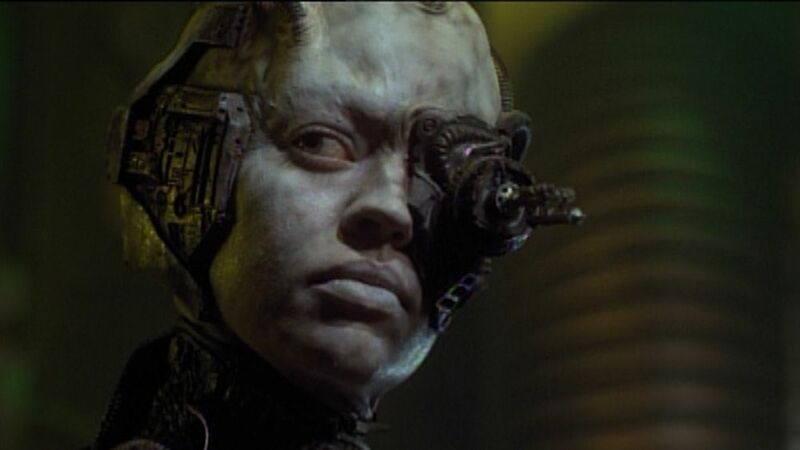 While this may have seemed like an opportunity for them to leave the Borg collective, Seven was still attached to her hive mentality and feared being alone. In her panic, she created her own version of a collective with nanoprobes to assimilate her peers again until they could be rescued. Seven of Nine finally found the freedom she deserved once she joined the crew. She eventually lost her connection to the Borg collective and regained her individuality. Although the process included several surgeries and some basic training on how to be human, she did manage to gain some sense of individuality over time. Fate seemed to be watching over her when she was selected as part of the pact made between the USS Voyager crew and the Borg Collective. Her role was simply to serve as part of the Borg’s plan to obtain the modified Borg nanoprobes from the crew. The Borg used her as a bartering tool to get what they wanted in exchange for allowing the crew to leave unharmed and unassimilated. Fortunately, the deal led her to a real home and family. Over the series, Seven experienced many events that brought her repressed memories about her time on the collective to light. From details of her conquests to previous missions, she would slowly regain parts of her life in the hive sporadically. However, she was in for quite a surprise when she learned she had actually found love while she served as a drone. During her time in Unimatrix Zero, she had carried out a six-year-long relationship. However, once she left the collective, she had no recollection of the romanceIt wasn’t until he came to her in her dreams that she remembered Axum, known as Seven of Twelve in the collective. Despite the many tragic and traumatizing occurrences throughout her life, Seven seemed destined to be a part of the crew of the USS Voyager. All the events of her life led to the fated trade that left Seven as a future member of the crew. Although it is hard to imagine her not being part of the team, there have been alternative storylines that have taken her down very different path that did not include her crew. In the Star Trek novel Places of Exile, an alternative timeline is explored where she never joined the crew at all. 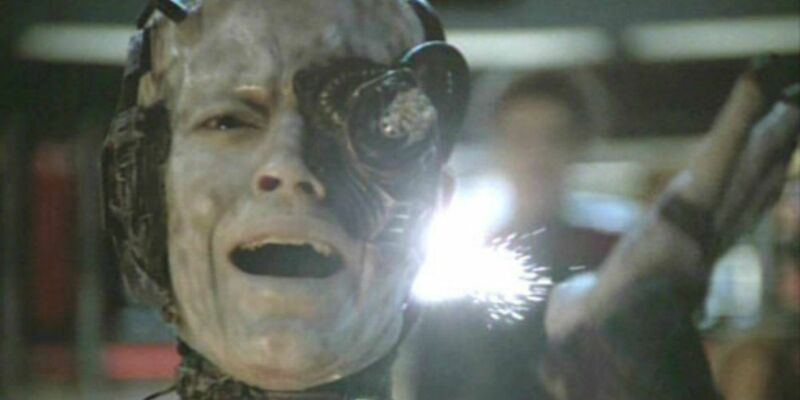 During the war with Species 8472, nearly half of the Borg’s numbers were eliminated. The Voyager never made a deal with the collective and they did not cross paths. 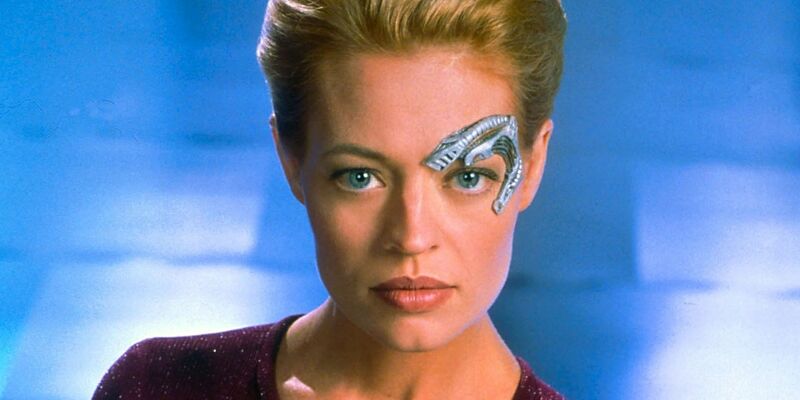 Seven of Nine presumably perished during the course of the war. In yet another timeline, the course of the war took a very different turn; one that would work in her favor. The same events of the war take place between the Borg and Species 8472. However, she is given a second chance at life. 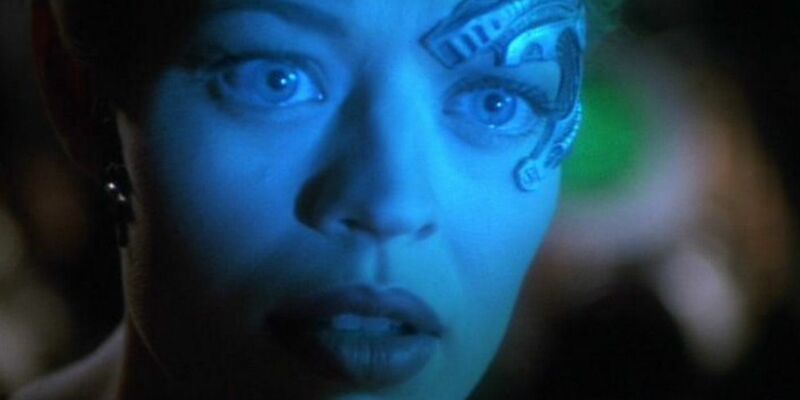 Seven of Nine and seven other members of the collective became liberated thanks to the attack. They successfully left Unimatrix Zero in order to live a more normal existence. Thanks to the rescue effort of the Vostigye ship Ryemaran, they left unharmed and journeyed ahead to their new freedom. 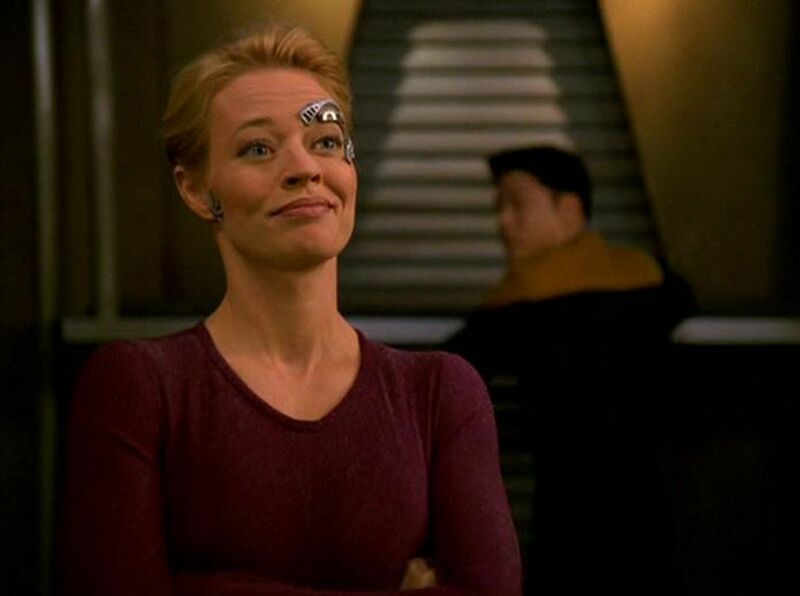 Seven of Nine was able to successfully regain her previous personality and became Annika Hansen once again. Once again, her path never crossed with the crew of the USS Voyager. 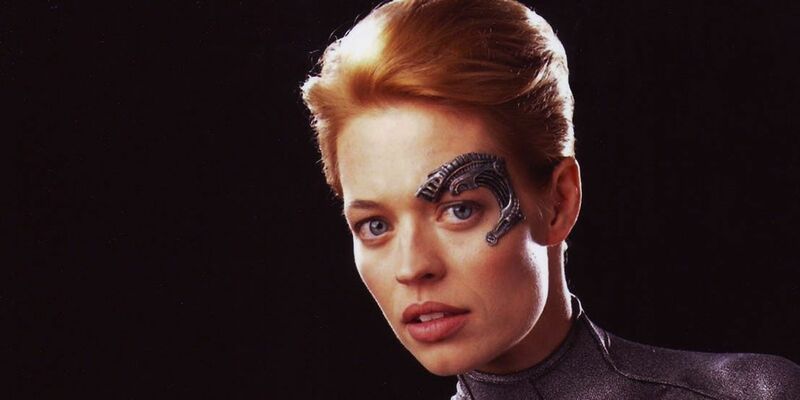 Do you know of anything else Seven of Nine did before Star Trek: Voyager? Let us know in the comments!